When you experience a money shortfall, the stress and anxiety you feel can be overwhelming. Worrying about how to make the payments on time or having enough to pay what you owe only adds to it. Factor in the additional stress of calls from debt collectors and it is very easy to feel helpless about your situation. 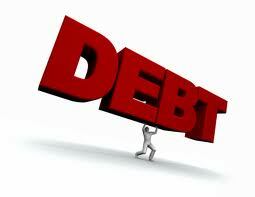 Dealing with debt collectors can be a very confusing and stressful experience. Educating yourself prior to talking with them can alleviate some of that stress. Here are 5 tips to help you deal with debt collectors. Debt collectors are bound by a number of laws that are laid out in the Fair Debt Collection Practices Act. It would be beneficial for you to know the basic outlines of these laws. If ever you find an agent is pushing those boundaries, simply state that you find their actions to be in violation of the FDCPA and that you are disconnecting the call. Their calls are always monitored and by stating that it will go on record. Call back and ask to speak to a supervisor. Explain the situation to them and request a new agent for your account. It may be very easy to ignore that phone when it rings multiple times a day but ignoring the situation is not going to make it improve. Speak to the collection agent and explain to them that you want to pay your debt but right now there is not enough money to do so. Talking to them also allows you to hear what offers they may have for you to bring your account current. Sometimes just the promise of $25.00 for a few months is all it takes to stop the calls. During the phone call, it is very easy to let the stress of your situation affect you. Be sure to remain calm. Do not react in a negative way. Keeping a professional demeanor with the debt collector will speak volumes of your character and may reassure them that you are trying to work with them. Even if the collector isn’t being professional to you, keep your wits about you and don’t lose your cool. Some collectors will do anything to get you emotional just to see if you will give in to their demands. Be sure to write down the name of the representative that you spoke with as well as their phone number, the time and date of the phone call and any information they may have provided you. If you have the ability to record the conversation, do so. This information could be useful in the future. If you’ve come to an agreement with a debt collector, do not send them any money until you have the agreement in writing. Maintain diligent records of all payments as well. Each time you send in a payment, include a letter stating that you are making your payment based on the agreement. The economic situation for many Americans has declined in recent years. The unemployment rate has increased along with the amount of delinquent debt. While it can be frustrating and embarrassing to not be able to pay your bills, don’t ignore the problem. Lending institutions are now offering more options to assist you with getting back on track. These options are only available to you if you speak to the representatives. Being prepared before you speak with them will improve your chances of getting help faster.